You want to create that important first impression to your potential clients, visitors and staff – make sure your signs say the right things about you and your Business. 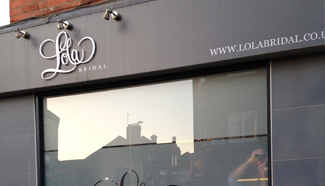 With a wealth of experience APS will design, manufacture and install the perfect fascia sign for you. You want to be unique and that’s how we treat our customers design and sop graphics whether it is built up lettering, internally illuminated, vinyl graphics, flexible face or even digitally printed graphics. Do you want to make your window design to stop your customers in their tracks? Window graphics give a wonderful effect. It’s a great place to advertise your product, services or even a special offer is economical and you can change it frequently to keep your customers interested.